This is the fifth CD by the Clarinet Trio in the Leo Records catalogue. It is a special CD by several counts. Firstly, by releasing this CD we are celebrating the 60th birthday of Gebhard Ullmann who is the inspiration behind this brilliant unit. 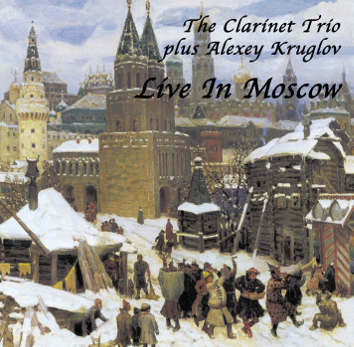 Secondly, it was recorded live in Moscow with the addition of outstanding Russian saxophonist Alexey Kruglov. Thirdly, the album is dedicated to the sound engineer and great artist Walter Quintus. Jurgen Kupke - clarinet, Michael Thieke - alto clarinet, Gebhard Ullmann - bass clarinet, Alexey Kruglov - alto saxophone.